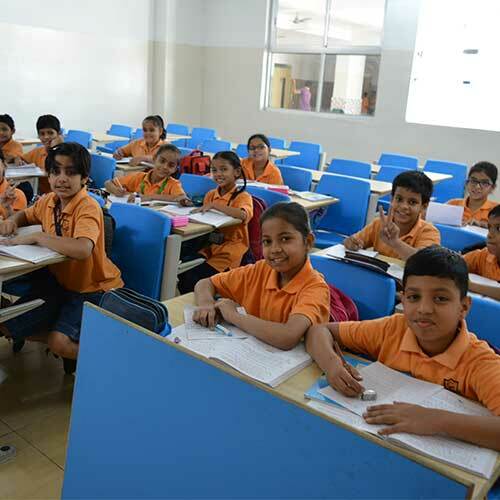 CCWS is a Day Establishment for classes Nursery to X, situated in the heart of Jaipur; set up in (March) 2016, the school is affiliated to CBSE, with an approximate strength of students. The concept of ‘day’ boarding took shape with us noticing that the children used to either sleep or be couch potatoes after returning home. So, it was decided to increase the time till 04:30 pm and incorporate hobby classes. Usually day boarding schools in Jaipur run with the concept of only finishing the homework in school but here at Cambridge Court World School we have academics blended with activities in a wonderfully balanced manner where in the child had a choice from a wide range of hobbies viz. volley ball, skating, synthesizer, western and classical dance, chess, theatre, martial arts, art and craft, guitar, tabla, to name a few. We at Cambridge Court take extra – curricular seriously- we have. Kids enjoy all these in-house activities under one roof and is an aesthetically beautiful and safe heaven. A child’s time could not be better managed by engaging him perfectly in all requisite areas. Not only that buts in the extra time we further hone the child’s concepts with planned and innovative revision, so much that the homework is done at the school itself thus eliminating the need for any tuitions after school. The curriculum as well as extra curricular activities are constructed to impart emotional intelligence to the students at a very tender age. What better time than while in school? We are thus giving a one stop solution to the parents. We at CCWS strive to achieve ‘all-round excellence’ and ‘overall grooming’ of our students popularly known as ‘Cambridgians’ with the motto ‘Contrivance for excellence’.